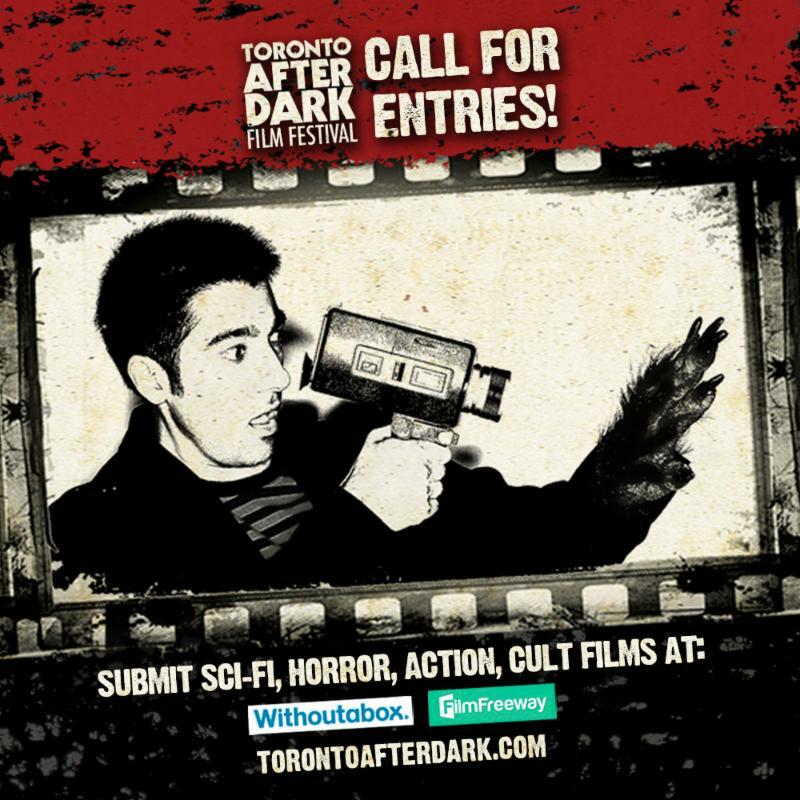 The poster for the 2019 Toronto After Dark Film Festival’s call for entries. The Toronto After Dark Film Film Festival has announced its Call for Film Entries for its upcoming 14th annual edition. The Toronto After Dark welcomes both short and feature length submissions of all forms of genre cinema, including horror, sci-fi, fantasy, crime, action, cult, animation and documentary movies, as well as music videos. The deadlines for entry for Toronto After Dark 2019 are May 10 (Regular), June 7 (Late) and June 21 (Final). Filmmakers are encouraged to submit their work as early as possible for reduced entry fees. Films can be submitted to Toronto After Dark using its pages at the popular film submission websites FilmFreeway or Withoutabox. For more details, filmmakers can visit the festival website’s Submissions Page. The 14th annual Toronto After Dark Film Festival is scheduled to run between October 17 and 25, 2019. The festival will once again be held at the Scotiabank Theatre, which is located at 259 Richmond Street West in Downtown Toronto. Shockya is happy to be promoting this great genre festival again this year, after covering Toronto After Dark since 2015! For more information on Toronto After Dark, visit the film festival’s official website, as well as its Facebook, Twitter and Instagram pages. The Toronto After Dark Film Festival is welcoming both short and feature length submissions of all forms of genre cinema, including horror, sci-fi, fantasy, crime, action, cult, animation and documentary movies, as well as music videos, for its upcoming 14th annual edition.